From China to Italy, and all over the U.S., Dirty Cello brings the world a high energy and unique spin on blues and bluegrass. Led by vivacious cross-over cellist, Rebecca Roudman, Dirty Cello is cello like you’ve never heard before. 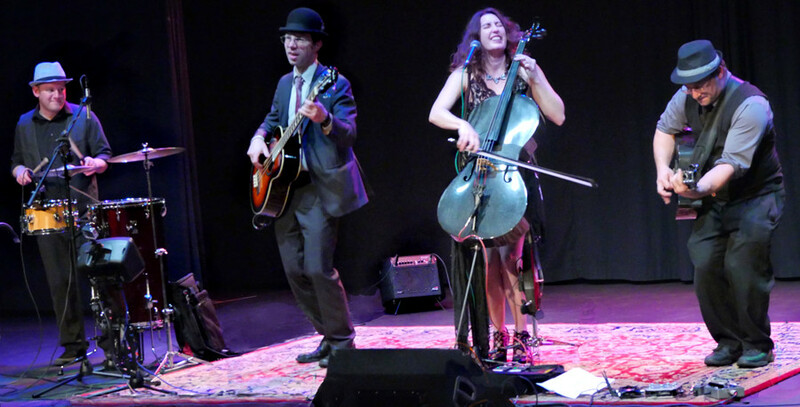 From down home blues with a wailing cello to virtuostic stompin’ bluegrass, Dirty Cello is a band that gets your heart thumping and your toes tapping!